Data on clinical features, treatment, and outcome of pediatric marginal zone lymphoma (MZL) is still limited. MZL represent a B-NHL subtype which clearly differs from aggressive B-NHL with respect to clinical presentation and the need of treatment intensity. Three subtypes of MZL are defined with nodal MZL (nMZL), extranodal MZL (enMZL), and splenic MZL. The latter subtype is rare in children and adolescents. 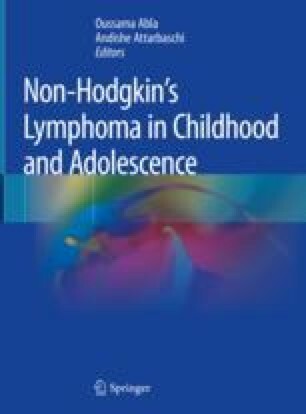 Nodal MZL occur most commonly in healthy male adolescents and present with limited stage disease. Extra nodal MZL are also most common in the adolescent age group with a less prominent male predominance compared with nMZL. An association with infectious agents, inflammation, autoimmune diseases, and immunodeficiency is observed in enMZL. One third of patients presents with advanced stage of disease. For both nMZL and enMZL, the prognosis is excellent with limited treatment for the vast majority of patients.